If You Still Have One Of These Old Toys, You Might Just Be Rich! If You Still Have These Old Toys, You Could Be Rich! Like a fine wine, some things just get better with age. And with toys, they grow in value as the time goes by. Unfortunately, the boxes usually get torn open and the toy eventually breaks as kids play with them. 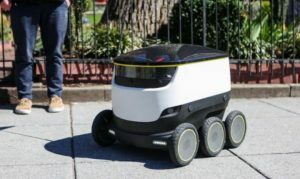 But for those lucky few who kept their toys (or their kids’ toys) in good condition, you may just be looking at receiving a small fortune for that relatively cheap toy you bought all those years ago. 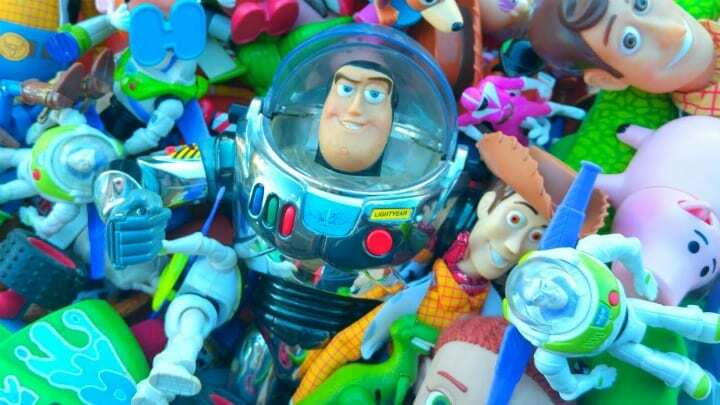 Read on to find out what old toys (ones you probably had) are now worth tons of moola. After reading this, you’ll wish you had held on to lots of things from your childhood. There might be many Barbies floating around these days, but there is only one original. And she reigns supreme. 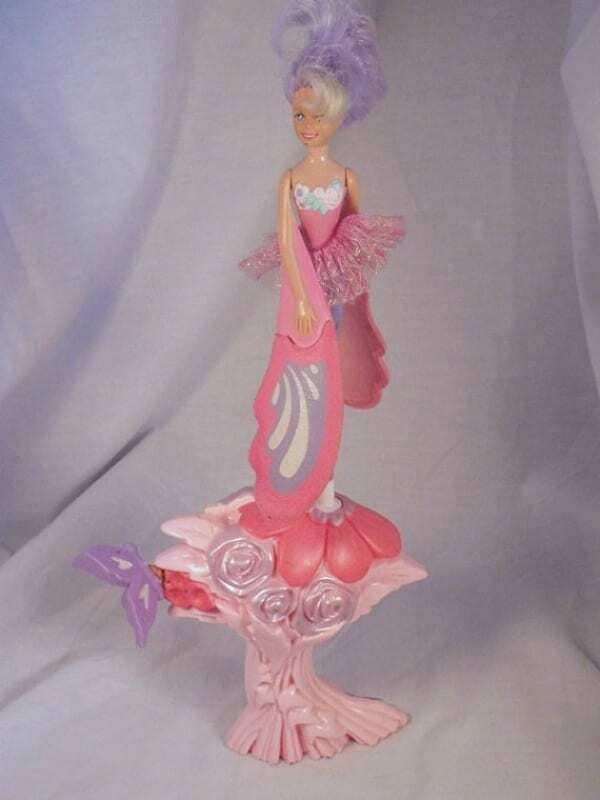 If you have one of these Barbies sitting around then you just became rich. A first edition in good condition can bring in around $23,000. The original Barbie sports a nifty, retro hairdo, a zebra-striped bathing suit, high heels and her classic hour-glass figure. Only two other Barbies hold a candle to the original (as far as price goes), and they are the De Beers 40th Anniversary Barbie (sold for $85,000) and the Stefani Canturi Barbie, which sold for a whopping $302,500. Anyone who was a true ’90s kid definitely had a few digital pets, known as a Tamagotchis. These adorable pixelated creatures provided hours of entertainment, or maybe you just used them was a watch. Either way… they also apparently make for a great accessory to any outfit. If you still have an original Tamagotchi in its box then you might be looking at a cool $3,000, should you be looking to sell. Recently the pets have made a comeback. Even Orlando Bloom and Katy Perry showed up to the Met Gala in 2016 sporting the gadgets. 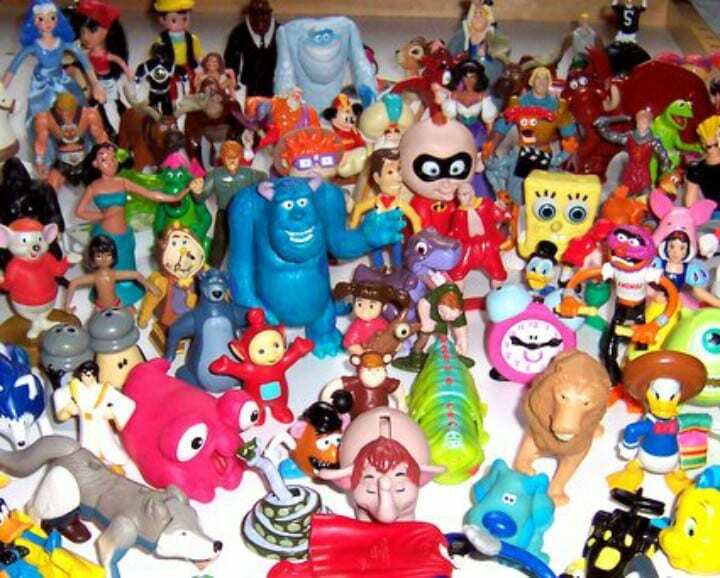 People will pay big bucks for vintage toys and this is one almost everyone had at some point during the ’90s. It’s the Nintendo Game Boy. 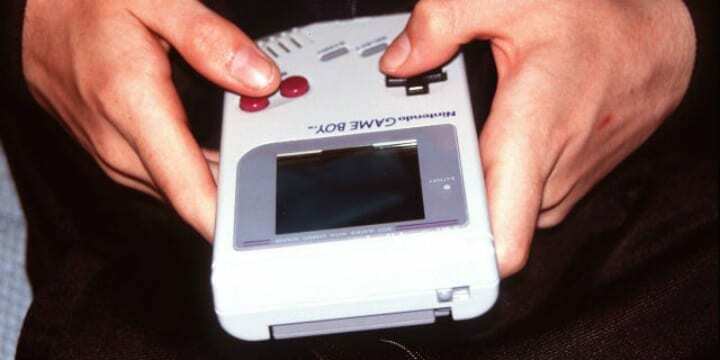 An original Game Boy can bring in anywhere from $750 to $1,500 on sites like eBay. If that isn’t enough money for you, then check to see if you happen to have the gold-plated, diamond-encrusted special edition Game Boy. If so, you’re looking at a nice sum of $25,000. But let’s be honest, all those diamonds would be a bit distracting during a rigorous game of Tetris. 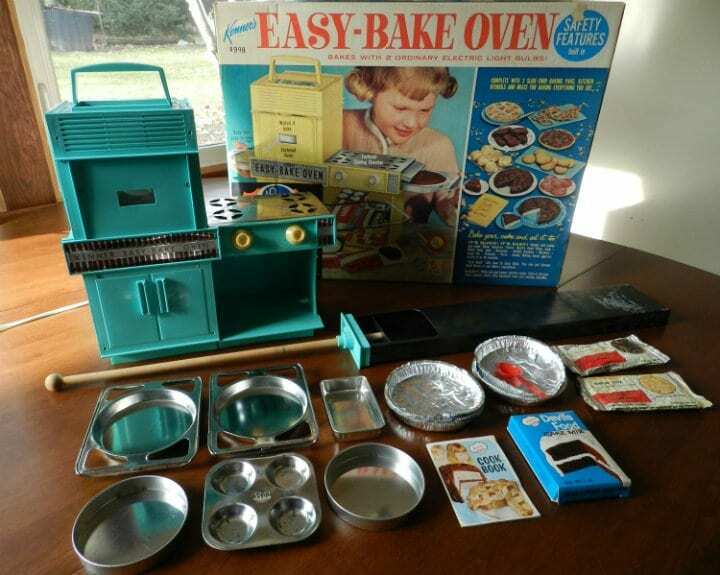 The original Easy-Bake Oven can bring in up to $4,000. Introduced in 1963, the Easy-Bake Oven launched just before Christmas time and every little girl had to have one. The set was designed after the popular kitchen looks at the time and came in either a lovely teal color or a light yellow. So check your attics and basements folks! You might just be sitting on an Easy-Bake Oven gold mine! Someone will buy it… we’re not even going to mention what a real oven would cost (for sure its less than $4,000…). 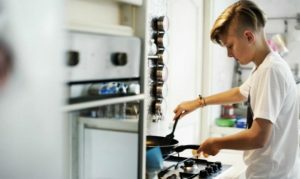 Why not bake with incandescent light bulbs instead? C’est la vie! The Furby exploded into the marketplace in 1998 and quickly became the MUST HAVE Christmas gift for many kids. 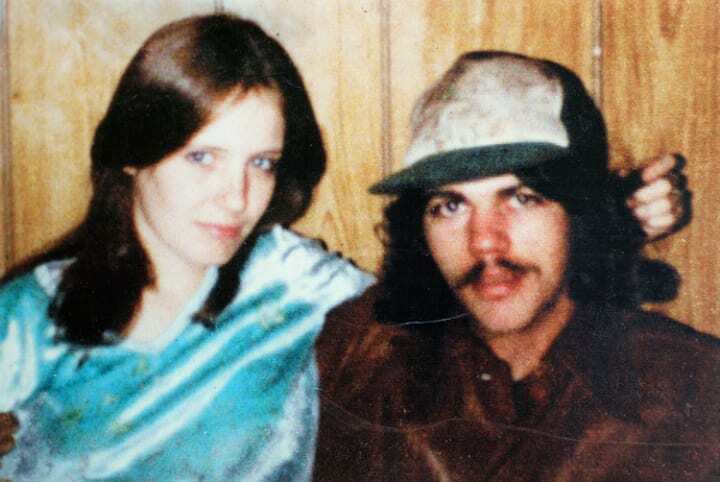 Parents and grandparents waited outside stores for hours just to find one before Christmas day. And that hype hasn’t diminished much. An original Furby in its box can bring in around $900. Now that’s what we’d call a good investment, considering it originally retailed for $35. Well… guess it depends on how many hours you had to wait to finally get one of your very own furry owl gremlins. There are about a million different types and designs of PEZ dispensers, but if you have the right one, then you’re rich! 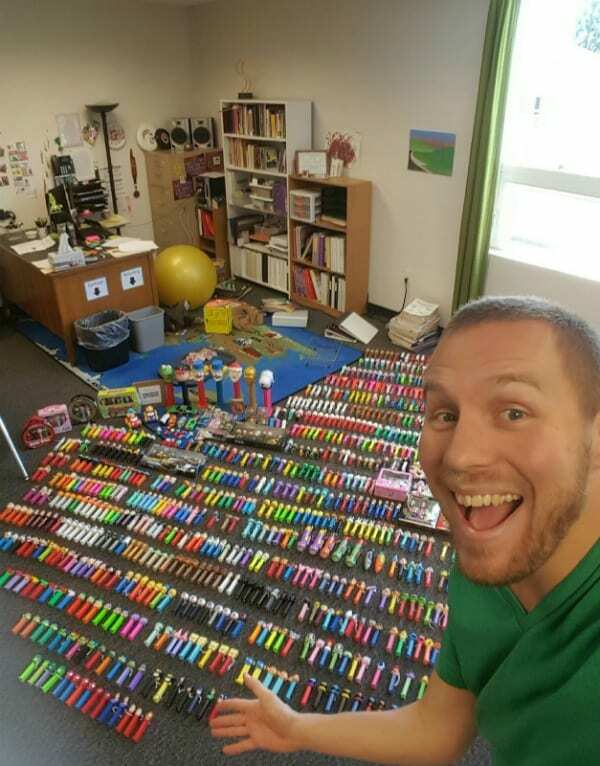 Some PEZ dispensers are so rare that they can bring in tens of thousands of dollars, even without any candy. A PEZ dispenser that was created for the 1982 World’s Fair, only known as Astronaut B, sold on eBay for $32,000, wow! You never know what is going to be valuable one day. We don’t mean to promote hoarding… but, yeah… maybe hold on to those collectibles. There are lots of valuable Beanie Babies (cue everyone rushing to check their collection) but no Beanie Baby is more valuable and rare than Peanut the Royal Blue Elephant. There are supposedly only around 2,000 in existence and can sell for up to $5,000. Other very valuable Beanie Babies include the “Old Face Teddy Bear”, “Humphrey the Camel”, “Princess Diana Beanie Baby” and most of the special edition bears. The Beanie Babies that have slight flaws, like a different color fabric, missing an embroidered white rose, or have the wrong name on the tag can sell for even more than usual. 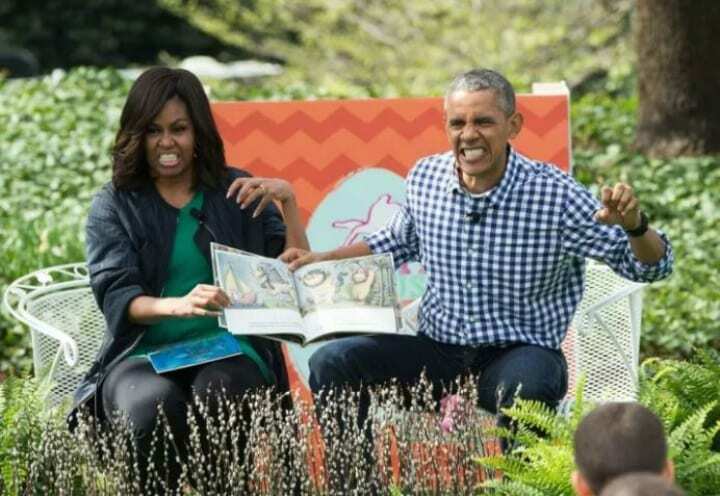 It’s been voted the number one picture book ever and it’s been called the “most distinguished American picture book for children.” And if you’re lucky enough to have a mint first-edition copy of Where the Wild Things Are, you just became rich! In 2012, a 1963 signed first edition of the book sold for an incredible $25,000 on Abebooks.com. 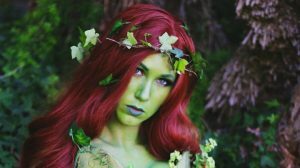 As of 2009, 19 million copies of the book had been sold, but that figure is most likely much higher since the movie adaptation came out in 2009 as well. 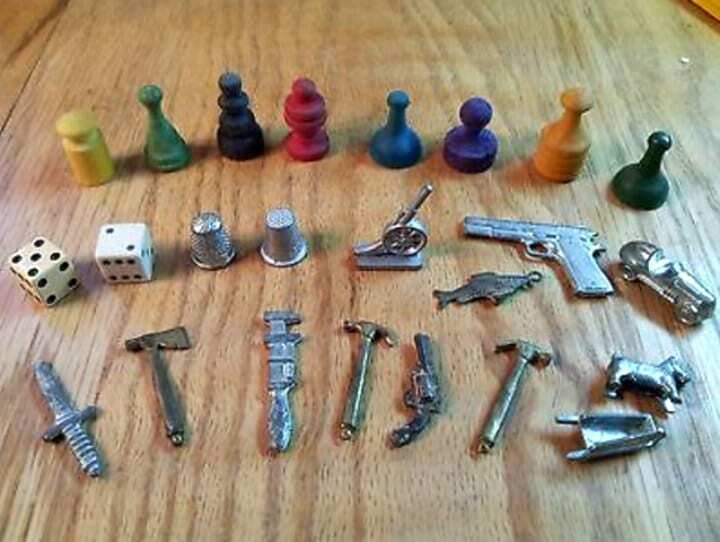 Monopoly is a game we all played when we were kids. But did you know that the game can be worth some big bucks? A hand drawn and painted original version of the game, made in 1933 by the creator himself, sold for $146,500 at auction. There might be very few of those out there, but even other versions of the game can sell for large sums of money. Other vintage versions from the 1930s have sold at Sotheby’s for $4,000 to $6,000, and even newer limited editions of the game can sell for hundreds on eBay. 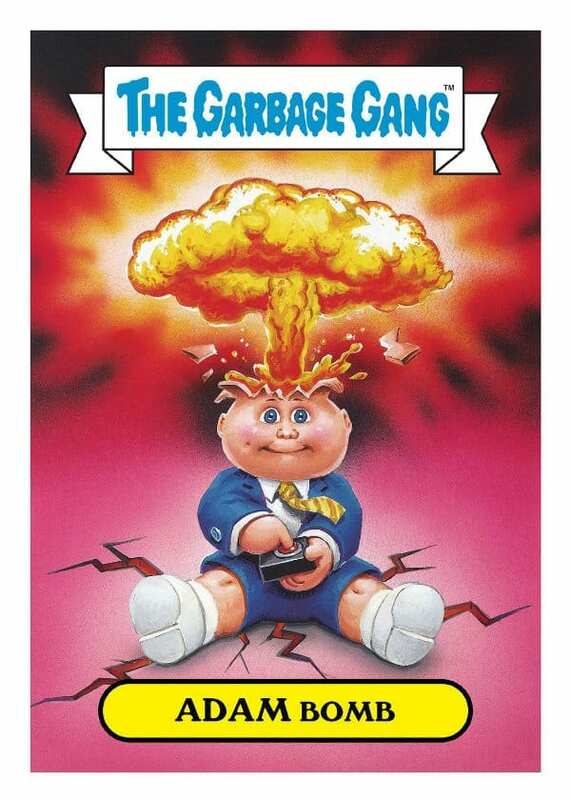 In case you missed it, the Garbage Pail Kids were collectible cards during the 1980s and they were wildly popular. They were banned from many schools, so that tells you how popular they were. If you still have any of the cards lying around, they could be worth thousands. If you have the rare Adam Bomb card, then you might be able to sell it for around $4,000, like one man recently did on eBay. Even less impressive full sets can bring in hundreds of dollars. So if you don’t own any Garbage Pail Kids cards, check out your local flea markets! You might just find gold. 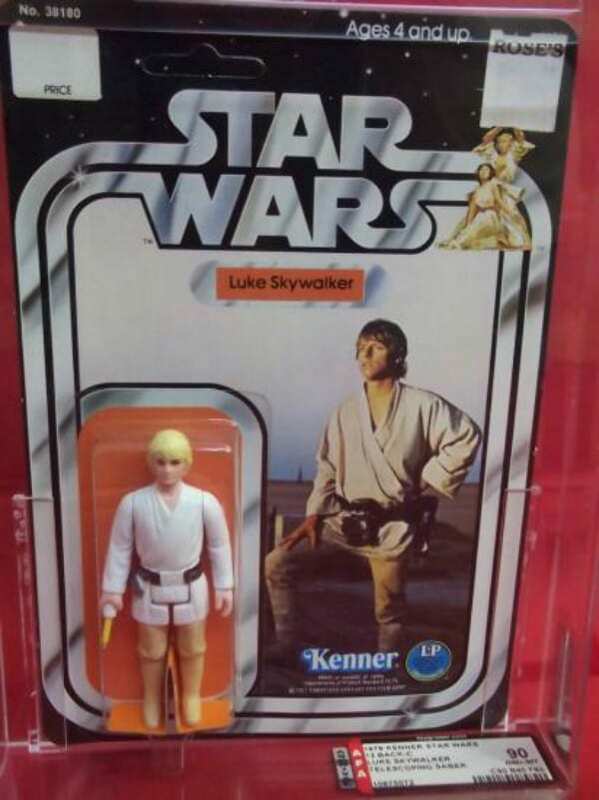 If you have one of these 1978 Luke Skywalker action figures then you are super lucky, because there are only 20 of them out there. Not only are they super rare, but they’re also super valuable. In 2015, one of these Star Wars figurines raked in $25,000 at auction. Don’t get discouraged if you don’t have an original Luke, though. Other characters and versions from other countries can also be worth some big bucks. For example, a Canadian Boba Fett sold for $6,250, and a Hungarian one brought in $15,000. Cartridges of Nintendo 64 games can sell for a hefty price if you have the right ones available. If they’re still unopened, it’s even better. One of the most in-demand games is Mario Kart 64. A mint condition one in the box game can sell for $750. 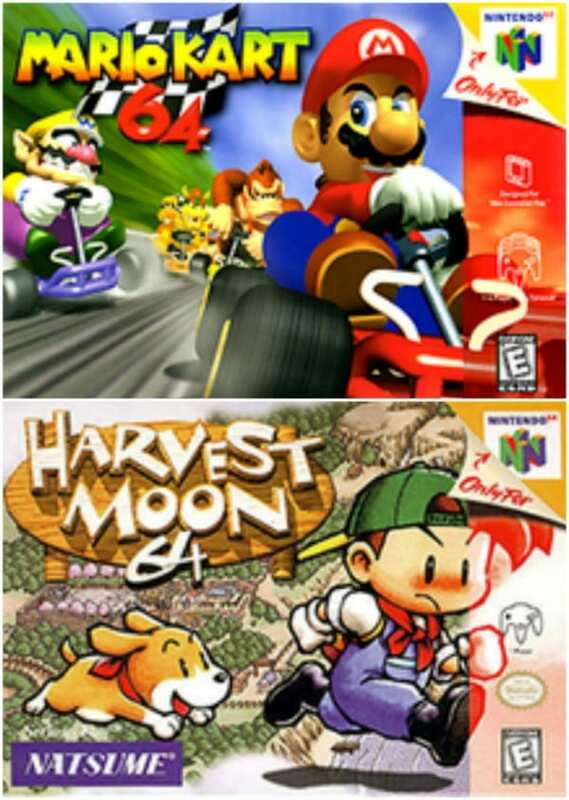 Another very lucrative game is Harvest Moon 64, which can retail for a whopping $900. The game was never produced in large quantities (seems like not many people were into farming games at the time) but the game has a very loyal fan base, which helps to inflate the prices of old games. If you have this comic book, you had better be very, very careful. It’s the most expensive comic book in existence and there were fewer than 50 issues printed in the world. 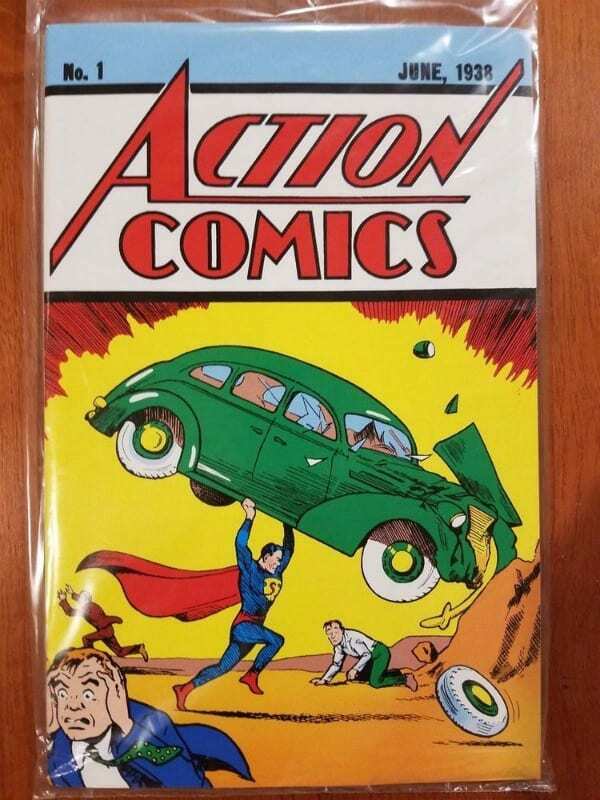 This comic, in pristine condition, sold for a good fortune: $3.2 million. The comic is so valuable because it is the very first appearance of Superman ever. Back in 1938, that same comic book was purchased for the low, low price of just 10 cents. The seller sold the comic book on eBay and started the bid at 99 cents. The most valuable hot wheels car out there is the 1969 pink rear-loading Volkswagen Beach Bomb. It sold for an astounding $72,000, but don’t get your hopes up… only one was ever made. The prototype was deemed unsuitable and the car idea was scrapped. 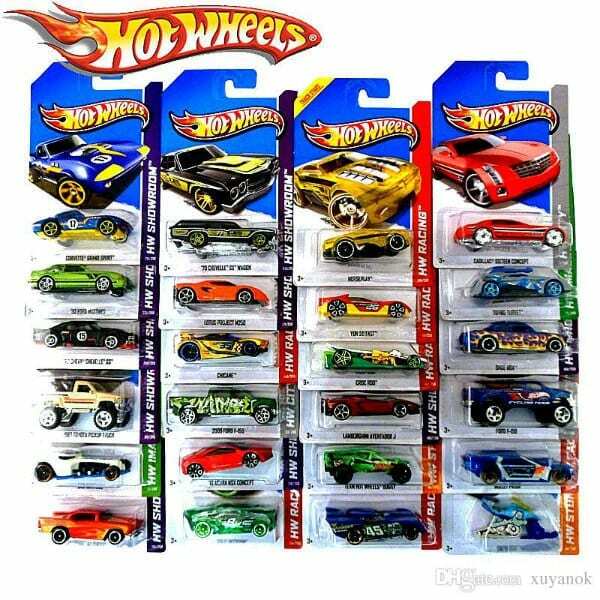 But there are other very valuable Hot Wheels out there, such as the 1968 Cheetah Base Python that is retailed at $10,000 plus and the 1974 Blue Rodger Dodger which is valued at $8,000, and many others. So if you have a collection, it’s worth taking a look at what you have. This next item is unique in that it was never actually for sale. It was a prize. 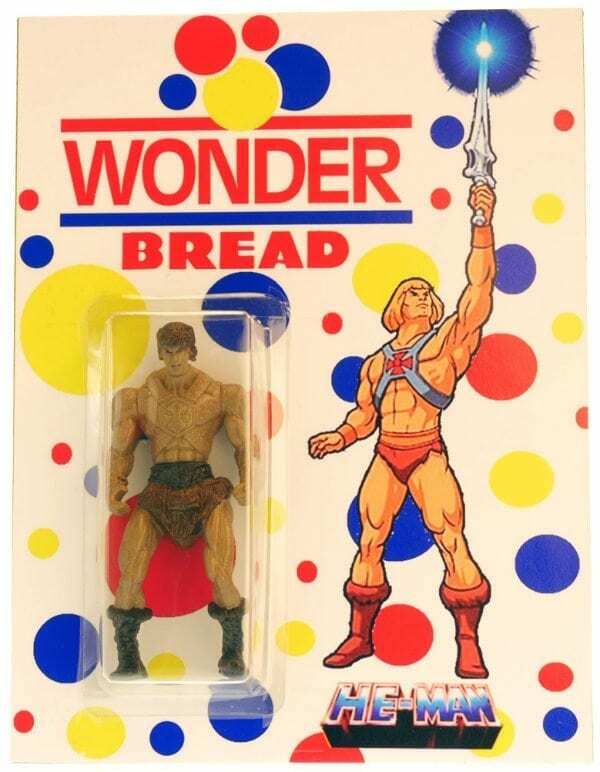 Wonder Bread did a free giveaway in the ’90s and the prize was a limited edition He-Man action figure. Can you guess how much he’s worth? This limited edition Wonder Bread He-Man is worth around $1,000. That’s not bad, considering that people did not even buy it in the first place. Read on because you’ll never believe how much money the next vintage toy is worth. That’s right! 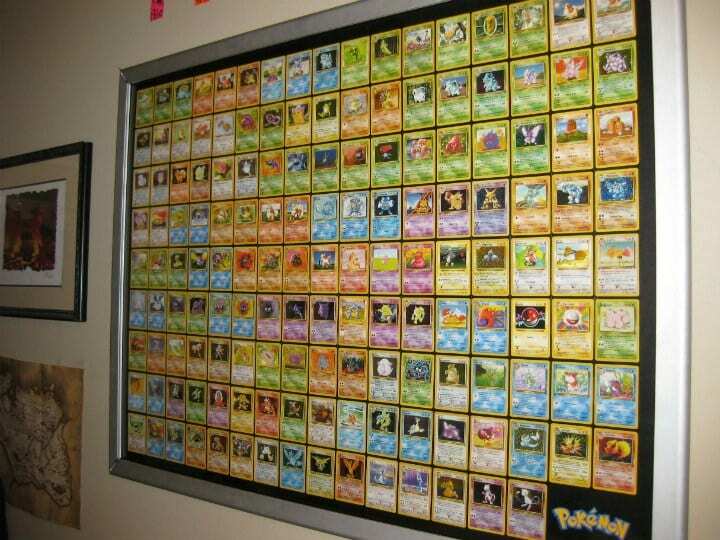 All those Pokémon cards that kids collected like crazy during your childhood are finally worth something. One of the most valuable cards are the Japanese-version Pikachu Illustrator cards. Back in 1998, one sold on eBay for the huge sum of $100,000. Other cards also bring in huge sums of money. The Pre-Release holographic Raichu card is worth over $10,000, but only 10 to 15 cards were ever produced. Read on to find out which other vintage toys are worth big bucks. You just might have a few laying around the house. This American Girl Doll is a collector’s item. The Molly McIntire doll was released in 1986 and retired in 2013. One of these dolls in mint condition can sell for around $5,000, but she isn’t the only doll that is worth a ton. 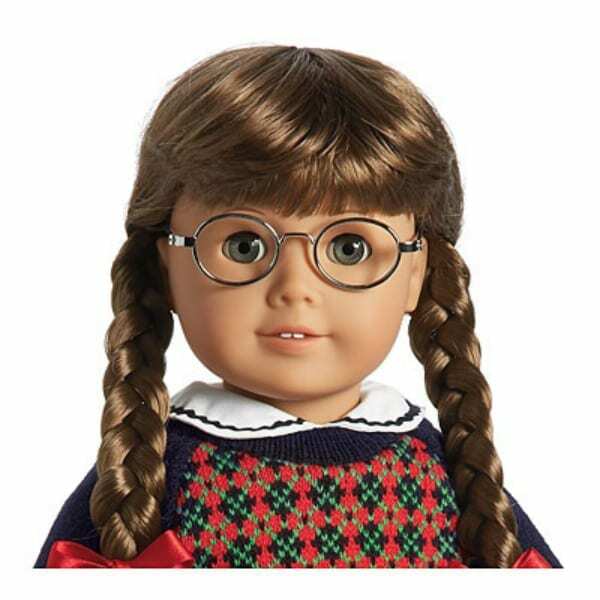 Other American Girl Doll’s that have been discontinued are also worth lots of money, such as Kirsten Larson, Samantha Parkington, Felicity Merriman and Kanani Akina. Read on to find out what other vintage toys are worth a fortune. They might just be sitting in your closet. It’s not only vintage toys that will earn you some well-deserved coin. Books will also get you the big bucks. First editions will always bring you a higher price, like this first edition copy of Harry Potter and the Sorcerer’s Stone that sold for $6,500. And if you’re lucky enough to have a first edition copy that is signed by the amazing J. K. Rowling herself, then you’ve made bank. A signed first edition can sell for up to $15,000. Just don’t dog-ear the pages! 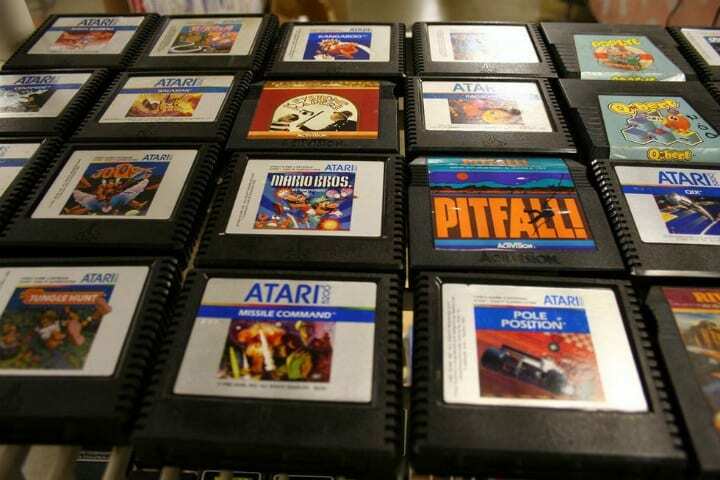 If you have a stash of old Atari 2600 games stored away somewhere, then you might just be sitting on a goldmine. The most valuable Atari game is called Air Raid. Used, it can bring in around $13,900, and if it’s new in the box, $33,400. Another rare Atari goldmine is called Red Sea Crossing. It is a Christian game that was never promoted apart for an ad in Christianity Today magazine. Not even the Atari community was aware of the game until 2007. 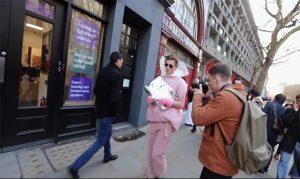 It sold for $13,800. Kids that grew up in the ’80s will recognize this next item: the original Transformers action figures. Since the ’80s, their value has skyrocketed. And you can expect bonus bucks if you kept them in their original box unopened (but who does that?). An Optimus Prime action figure, still new in the box, unopened sold on eBay for $2,000! That’s over 100 times its original market cost. So the lesson here? Keep those toys in the box, unopened and don’t you dare play with them! There was no other doll that could compete with the Cabbage Patch Kids. It was the doll everyone had to have and the doll for which parents waited for hours in line just to get the chance to buy one for Christmas. If you still have a doll and it’s in good condition, it’s likely to be worth something. 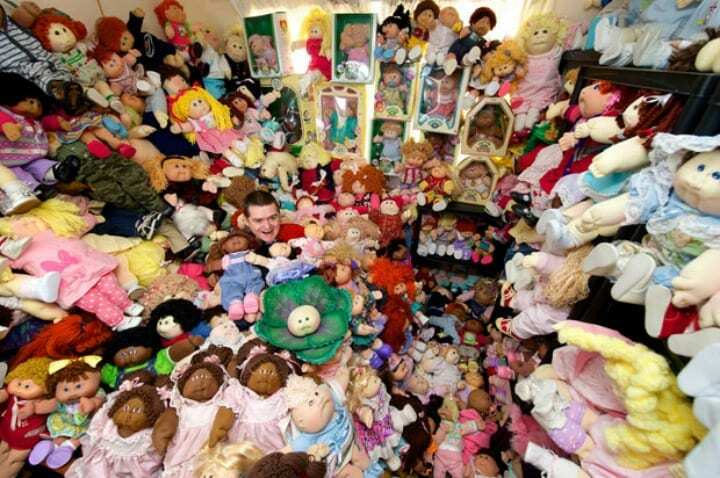 The most valuable doll is the 1985 James Dudley one, which is now worth $3,000. Also the 1981 Blonde Girl Little People doll is a high roller, fetching almost $2,000. The G.I. 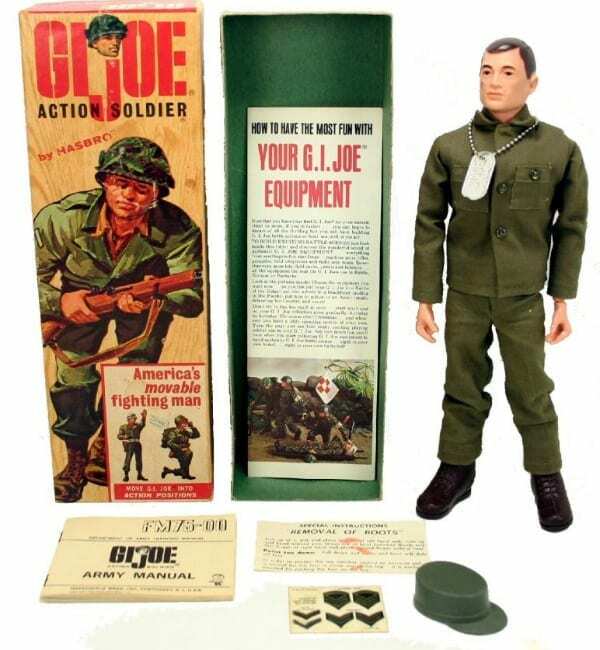 Joe action figures by Hasbro stormed onto shelves worldwide in 1964 and quickly gained in popularity. Even today there is an annual G.I. Joe convention. Back in 2003, a prototype G.I. Joe action figure sold at auction for $200,000. Other G.I. Joe collectible action figures and accessories sell for smaller yet significant amounts. The Missile Command Center sold for $17,500, while other action figures in the series have gone for up to $10,000. Read on to find out what other childhood toys of yours might just be worth thousands. Baseball cards seem to just keep getting more and more valuable as time goes by. The most valuable baseball cards in existence are the Honus Wagner Sweet Caporal cards, produced between 1909 and 1911. Only 200 were ever made and the sell for very high prices. One went for $2.8 million! The second most valuable baseball card is Mickey Mantle’s that was produced by Topps in 1952. It was sold for $525,000. 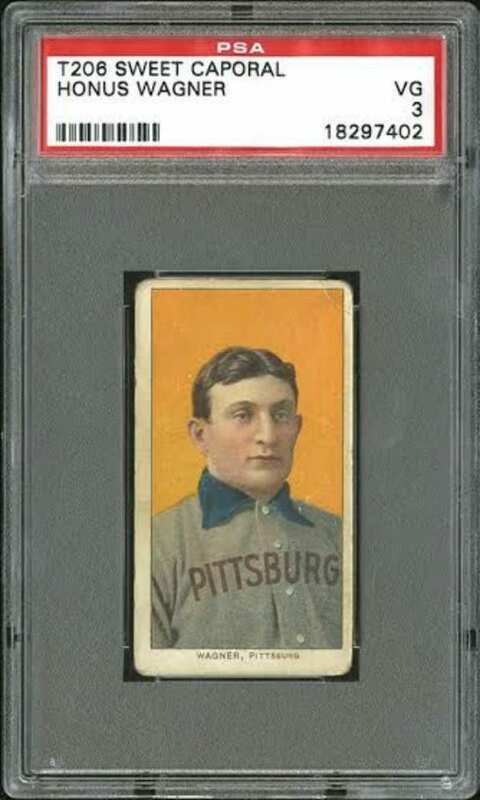 Just ten years before, the card was worth only $100,000, so the value just keeps going up on these rare collectibles. Sky Dancers were a thing of wonder. They flew just by the pull of a string, then most kids quickly got tired of them. 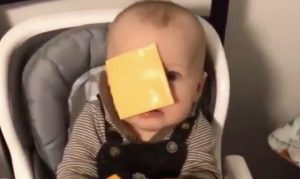 However, their real purpose was discovered when they realized they could be used as a weapon in the war against their siblings. A large number of the toys were recalled for being too dangerous, but that only helped increase their value. Today Sky Dancers can be purchased online for around $80 a piece. That’s far more than their original price. 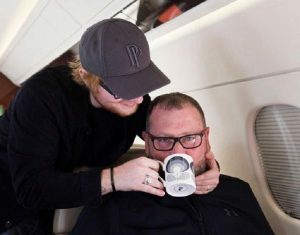 Just watch your face! 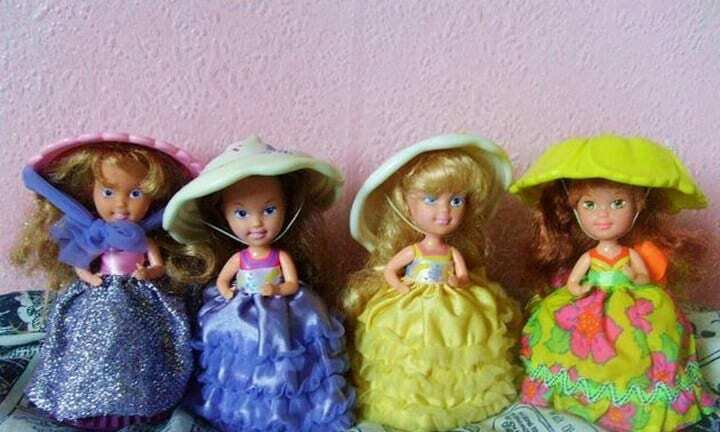 These tiny little pocket dolls were all the rage in the 1980s and 1990s, and now they are worth quite a bit of money. That is, if you managed to keep track of all those tiny pieces for all these years. 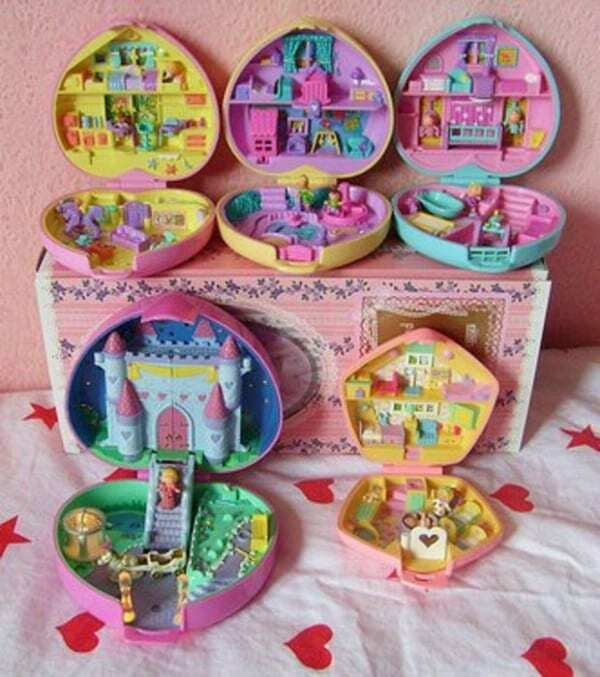 Complete Polly Pocket sets can sell for hundreds of dollars online. Recently, a Sparkle Surprise set sold on eBay for $449.99, but that’s just the tip of the iceberg. Larger full sets have in some cases gone for as much as $1,926. 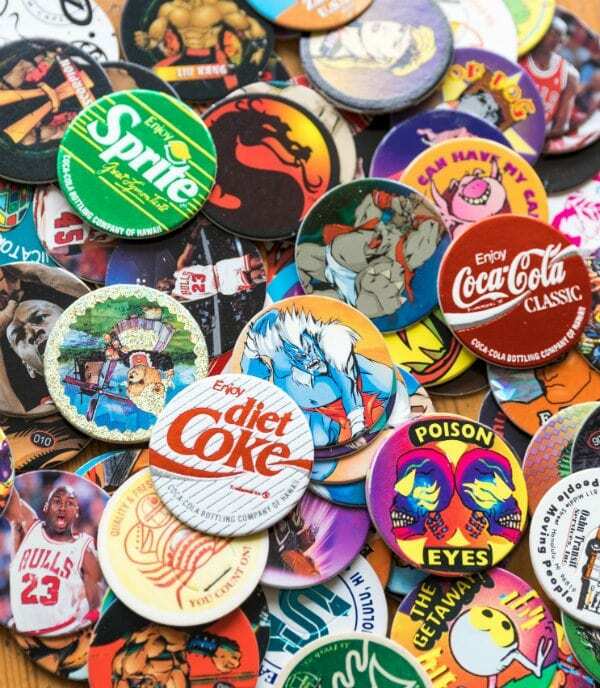 Pogs were essentially cardboard coins with pictures on them, not something that anyone would think would have value. But some sets are so rare that they can make you over $1,000. If you have the complete Marilyn Monroe set, you can easily fetch $1,000. 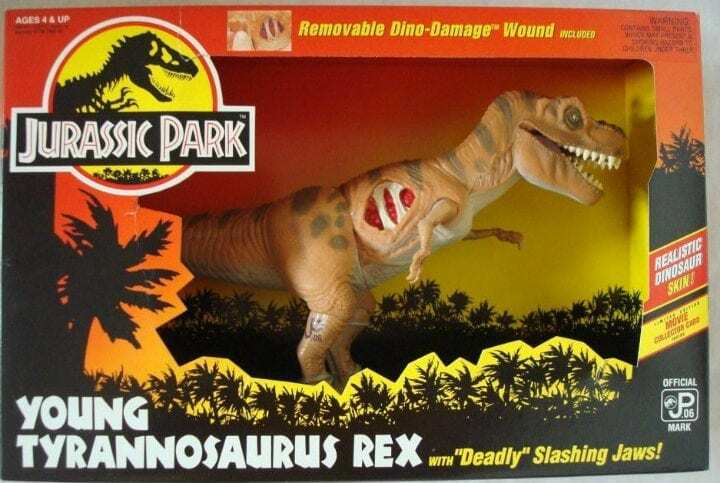 If you think $1,000 isn’t very impressive then check out the value of the Jurassic Park set, complete with six holographic pogs and a slammer, which sold for $1 million! Even more common sets can easily get you around $100. The toys might have come free with a McDonald’s happy meal, but they are becoming more and more valuable as time goes by. Sets of the happy meal toy collections can easily sell online for over $100, and some can go for much more. 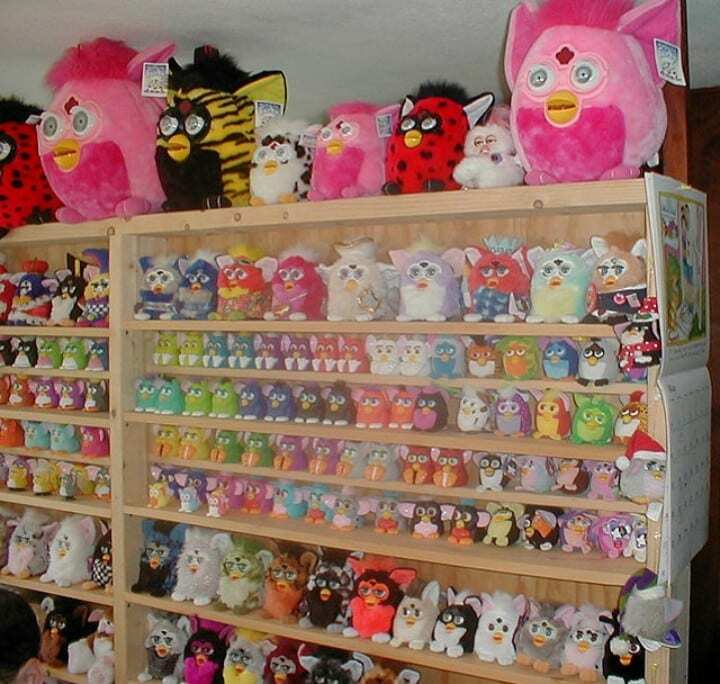 One of the most valuable toys is the McFurby, the plastic Furby creatures that came in every color of the rainbow. They can sell for up to $900 if you’re lucky enough to have just the right ones and find the right collector willing to buy. Toys from the movie Toy Story are bringing in the big bucks these days. An original mint-condition Buzz Lightyear figurine can easily sell for around $550, while a Woody figurine retails at around $580. But it’s not just the main characters from the movie that are valuable. Even the cute aliens from Toy Story (you know, the ones from the crane machine) are quite valuable. The Toy Story alien USB webcam retails at $690, and Stinky Pete (one of the villains from the movie) retails at $700. Webkinz are plushy toys that have an online playable counterpart in the Webkinz world. These toys are relatively new, but they are bringing in the big buck on sites like eBay. People are selling lots of the toys ranging from $600 to $500. 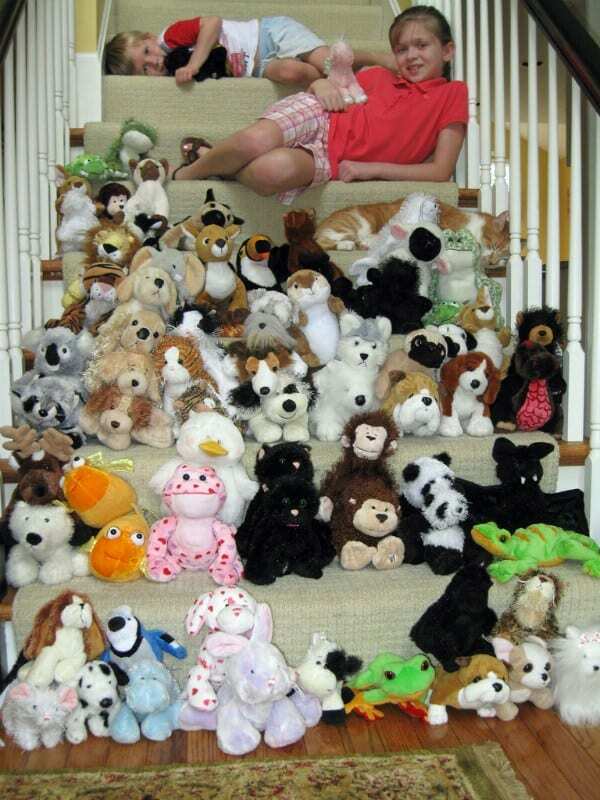 One eBay user sold a lot of 85 rare signature collection Webkinz for an impressive $5,000. Now that’s a lot of money for a stuffed animal with a link to the digital world! Read on for more exciting valuable vintage toys you might own. 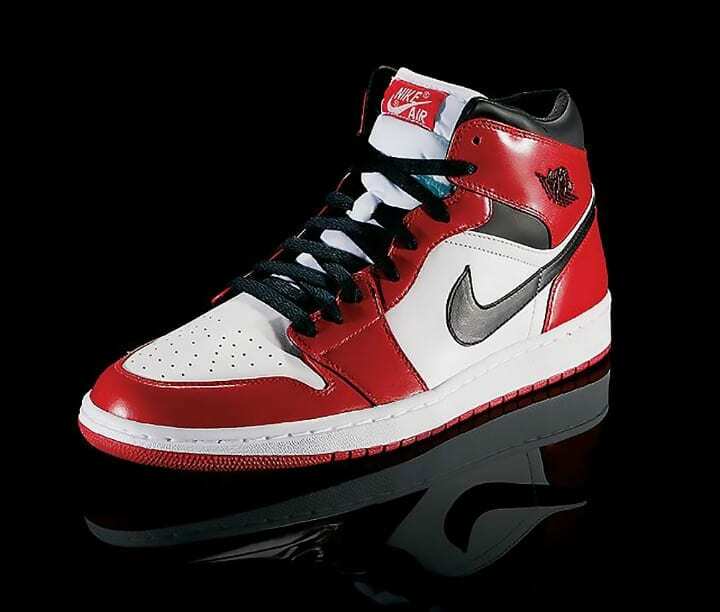 Air Jordan’s were by far the most popular sneakers for boys and everyone who was anyone had to have a pair. The shoes were not just footwear, they were a lifestyle and still are. The most expensive pair ever sold went for $104,000. They were worn by Michael Jordan himself in the 1997 NBA Finals. The second most expensive pair of Air Jordans are the Air Jordan 12 OVO. They were basically a copy of rapper Drake’s personal shoes, completely white with some gold on the side and on the top eyelets. They were sold for $100,000 by the fan they were given to. Looking at this old Nintendo NES game cartridge, how much do you think it would be worth today? 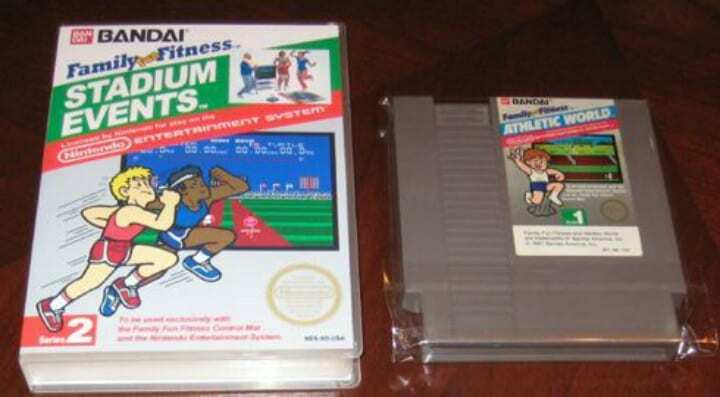 Factor in that this exercise game was discontinued shortly after it was introduced in 1986 due to poor sales. To the uneducated eye, this would hardly be worth much. However, in reality, this game is a gold mine! In 2010, one mint-condition cartridge in the box sold for $41,300. The starting price for the cartridge can fetch $13,000. And the box? The box alone without the cartridge can go for a cool $10,000 today. Not such a flop anymore, right? 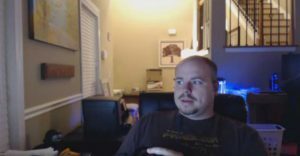 Remember old Push Cart Pete? This was one of the early Fisher-Price toys and was released between 1936 and 1937, selling for a mere 50 cents at the time (the equivalent of $8.80 today). 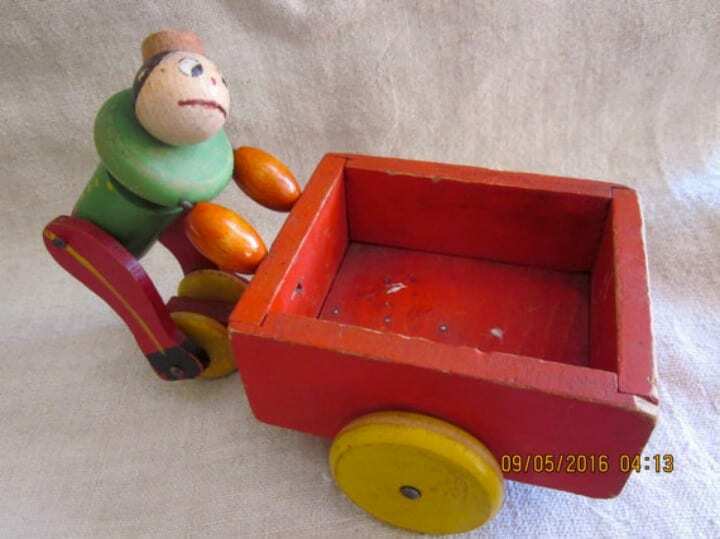 The wooden toy shows a disgruntled worker with a frown painted on his face. To operate Push Cart Pete, all one needs to do is pull a string and his arms and feet move along with it. If you happen to still have a Push Cart Pete in mint condition, you’re looking at $3,000. Many kids grew up dreaming of owning their own train set. The ones made by Lionel are truly the classics that kids begged their parents to buy because they were so lifelike and customizable. Do you still have one somewhere in your possession? 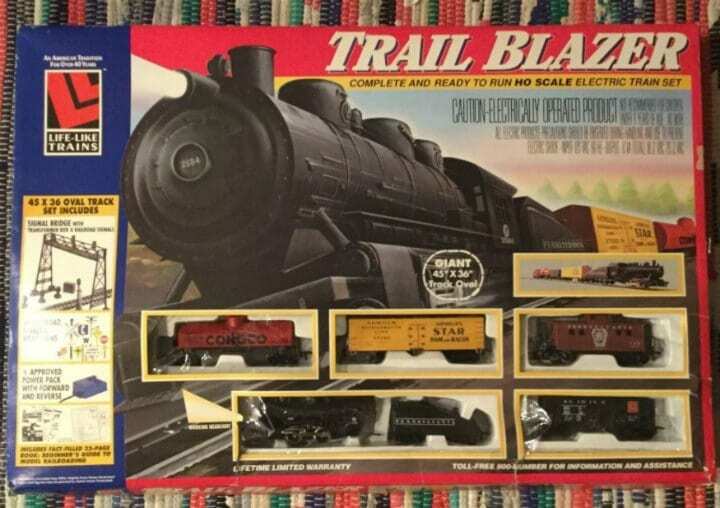 If so, check whether it’s the 1934 Lionel Pennsylvania Trail Blazer set. A set in good condition can go for $250,000 nowadays. With such a high price, it might be worth it to get an appraisal even if you have just one piece! If you’ve been an avid Star Wars collector since the beginning, then this next toy will only add to the happiness you’ve learned about from this list. The action figure of Boba Fett, the Star Wars bounty hunter, is one of the most sought-after figurines from the franchise. 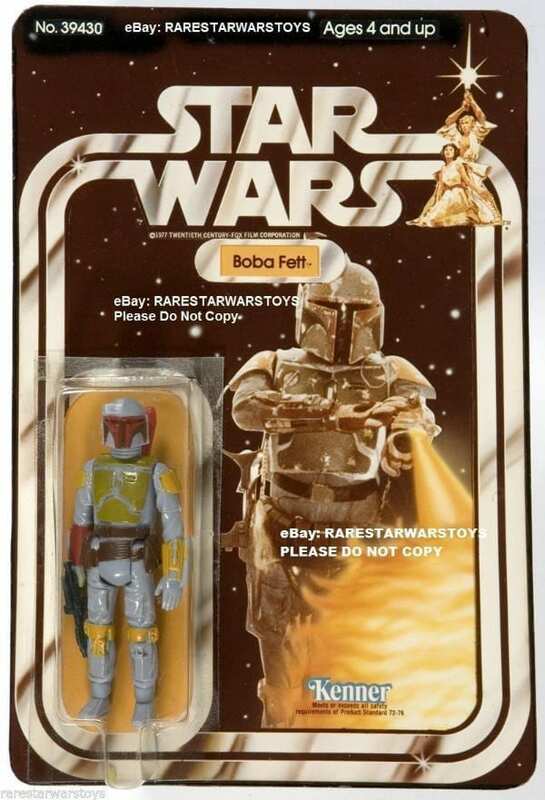 If you’ve managed to keep your Boba Fett action figure in the box after all these years and it remains in mint condition, you could be coming home with $5,000 should you decide to sell. Definitely worth cleaning out the closet for that! Lego has been the ultimate toy to spur a child’s imagination ever since the famous interlocking bricks hit stores in 1949. Now, combine that with electric train sets, and you’ve got the perfect toy. Plus, if you’ve kept it around, you’ll be talking a pretty penny for it. There are many varieties of the sets, including the High-Speed City Express Trains from 1985, Steam Cargo Trains from 1985, and Diesel Freight Trains. These can fetch from $1,500 to #3,000, but they need to still be in the box and be unopened. Otherwise, the value diminishes greatly. The dream of having a teddy bear read a bedtime story came true when animatronic toy Teddy Ruxpin hit the scene. It became the most popular toy of 1985 and 1986, using a cassette tape to read the stories, and more modern versions of the lovable bear continue to dazzle kids to this day with digital cartridges. Anyone who just couldn’t part from their beloved Teddy Ruxpin could be well rewarded for it nowadays! 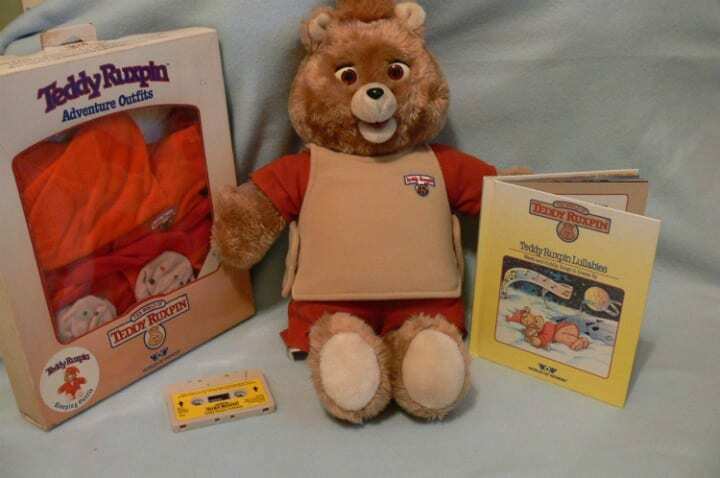 On eBay, an original Teddy Ruxpin with the original box it came in is currently going for $600, while some of the accessories are going for almost $400. If you were around in the ’80s, you might remember the Masters of the Universe franchise, which included movies and collectibles. It paired the superhero He-Man against evil villain Skeletor. Apparently, anyone who was willing to play the villain when it came to action figures will be pleasantly surprised! The Skeletor action figure released in 1982 is now worth $1,650 for diehard collectors. 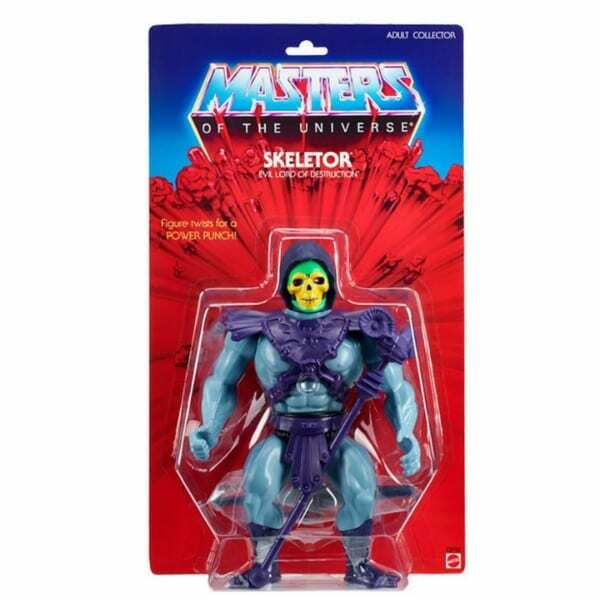 To get this price, your Skeletor must still be in the original box, unopened. 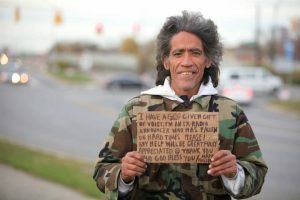 Meanwhile, Wundar He-Man will only garner $1,000. Sometimes it’s good to play the bad guy! 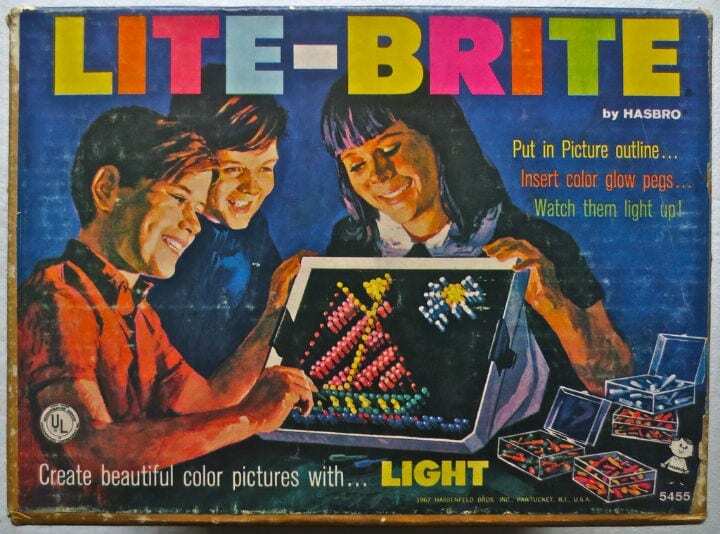 Lite Brite was a dazzling kids toy that remains popular today, decades after its release in 1967. The game has gone down in history, ranked by Time Magazine as one of the top 100 toys of all time. Maybe you’ve been holding on to your set for years? If so, this game might be able to light up your life in more ways than one! A vintage set with the original box sells for around $130 dollars. Some sets have even been sold for $150! It may not be as huge a reward as other old toys at this list, but it’s still appreciated in value. It’s sad when a promising new toy fails to take off, but for those rare few who decided to buy them, it could pay off to hold on to them for years to come. 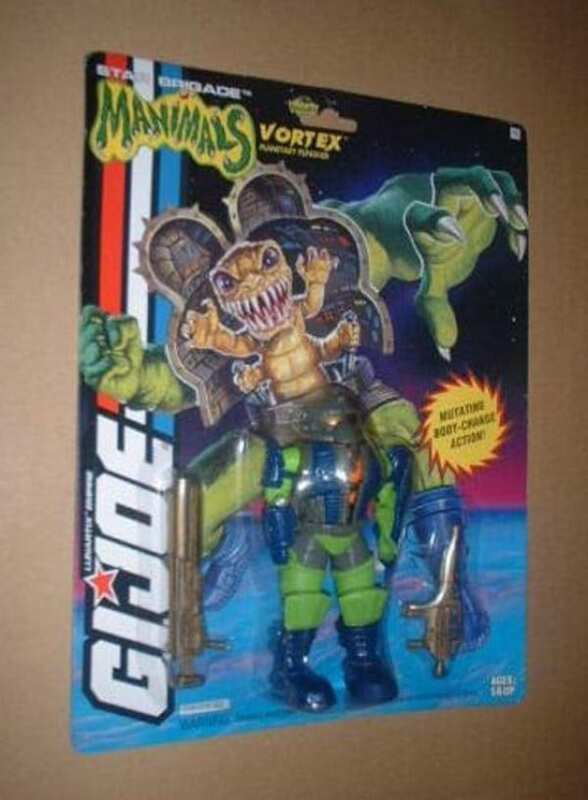 Such is the case with the GI Joe Manimals Vortex action figure. Although it was one of the most popular toys in the ’80s, the Manimals Vortex, which combined man and animals together, one was a flop and therefore only a few were made. As a result, anyone who happened to buy one and hold on to it could be raking in $20,000. That’s what it’s worth today. The Teenage Mutant Ninja Turtles media franchise was a mammoth and produced tons and tons of toys, ranging from action figures to games. There were so many TMNT toys all with tons of different variations. Some of them are even rare and quite valuable. 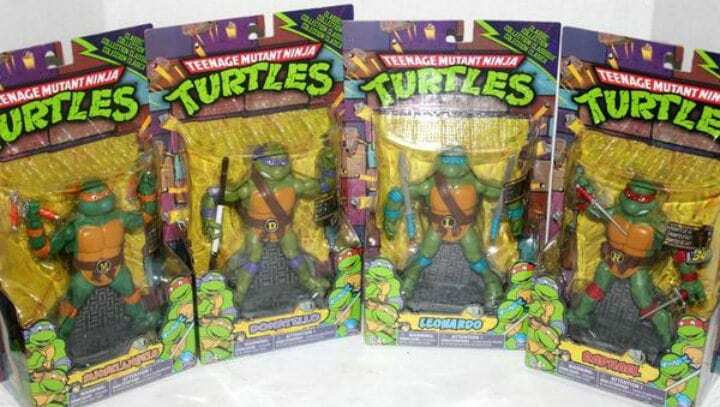 Vintage TMNT toys, especially international versions or ones with errors, can rake in tons of money! For example, a Krang action figure from 1994, with not one but two mistakes in it, is currently on the market for $25,000. Apparently, there is only one other version of it in existence! If you were a fan of Masters of the Universe back in the day, this was the ultimate toy you could get. It was also the largest set of the series! Mattel only manufactured this serious playset from 1986 to 1987 but fans are still clamoring for it to this day! 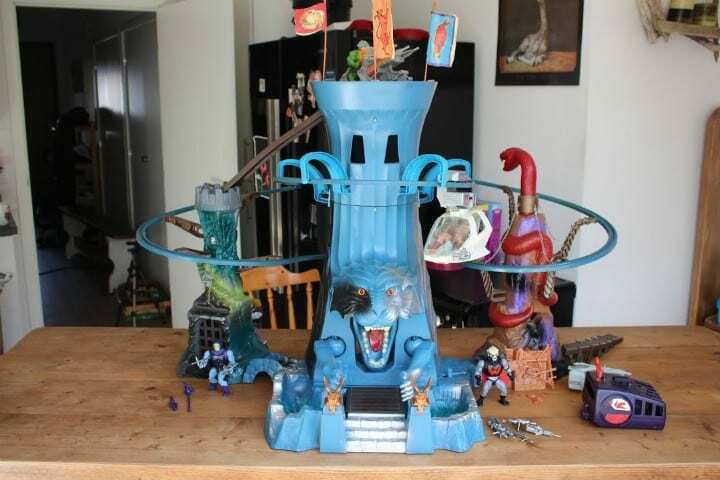 Sets including all three of the towers and figurines sell for between $1,500 and $1,900. Meanwhile, a single tower and pieces sells for around $550. If you have only a few select pieces, that’s okay too! A single piece from the set can go for $50. 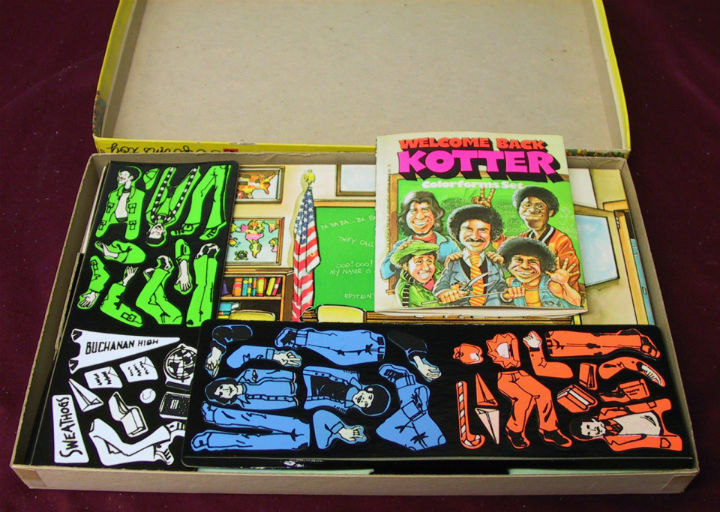 Colorforms are a fun toy made of vinyl that allowed kids and adults alike to peel and stick colorful shapes to their heart’s desire. They were invented in 1951 and originally just consisted of colored geometric shapes. Eventually the Colorforms centered around popular shows, movies, and celebrities. Vintage sets from the ’50s and ’60s have been known to range from $250 to $300 while certain specialty kits, such as the 1977 Space Warriors set (sealed in the original box) sells on eBay for $399. This certainly isn’t just child’s play! Children of the ’80s (and those who raised kids in the ’80s) will certainly remember the popularity of Jem and the Holograms. 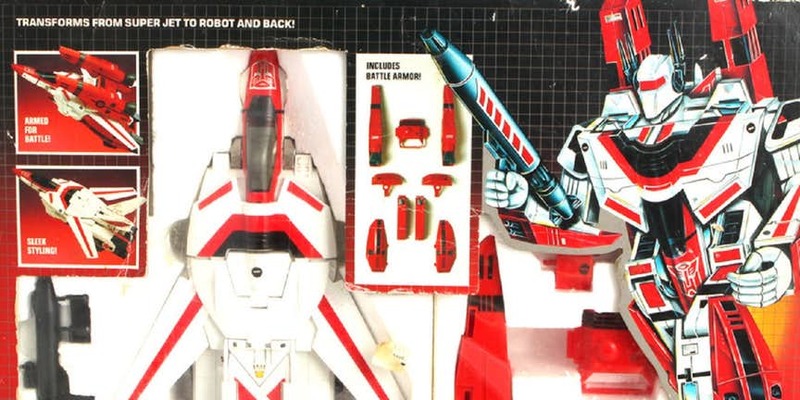 It ran from 1985 to 1988 and the franchise released tons of toys to accompany the show. It only makes sense since toy company Hasbro was one of Jem’s producers! 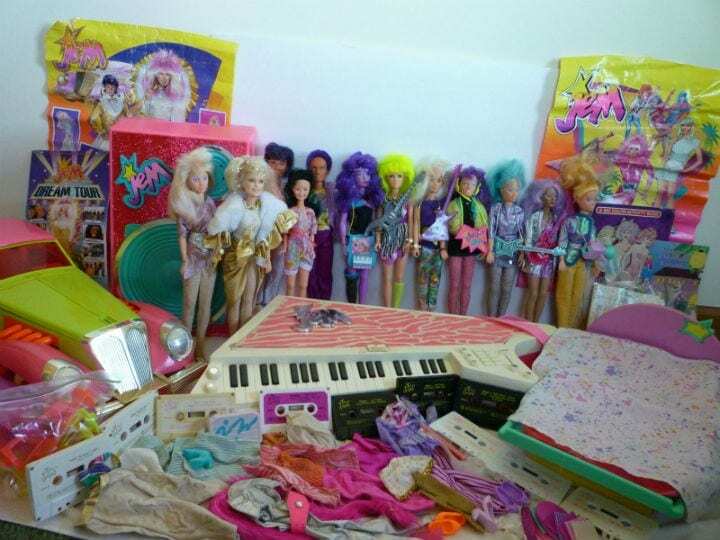 On eBay, a full set of Jem dolls and accessories sells for $1,299. Some of the original dolls still in their packaging sell for $975. Used Jem dolls, even without clothing and accessories, can still sell for at least $10. A single Jem sock is currently selling for $5. Playmobil was once a toy strictly for children but in recent years, it has become somewhat of a cult obsession, thanks to the wild array of unique character lines and playsets. For this reason, vintage Playmobil sets and figurines are hotter than ever. 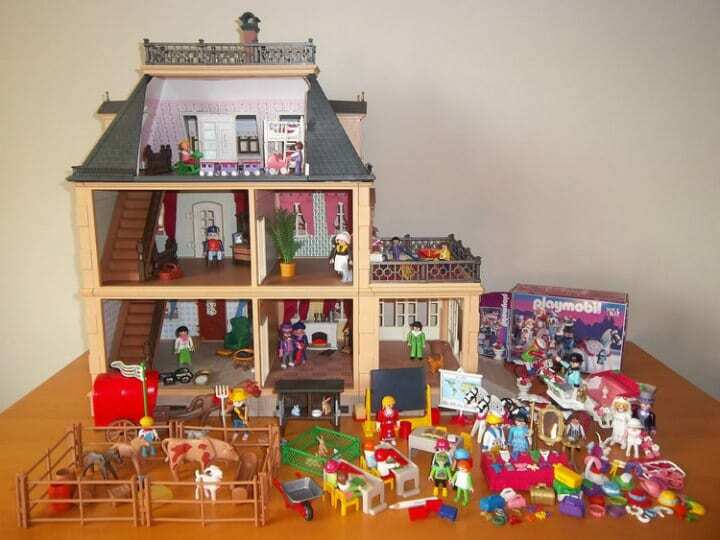 A huge collection of vintage Playmobil sets is currently being listed on eBay for $1,999. Meanwhile a number of individual, rare Playmobil figurines – that are still in their original boxes – can sell for as much as $2,322 on the bidding site. The TV series Rainbow Brite was a huge hit with kids during its original run from 1984 to 1986, with a feature-length movie released in 1985. 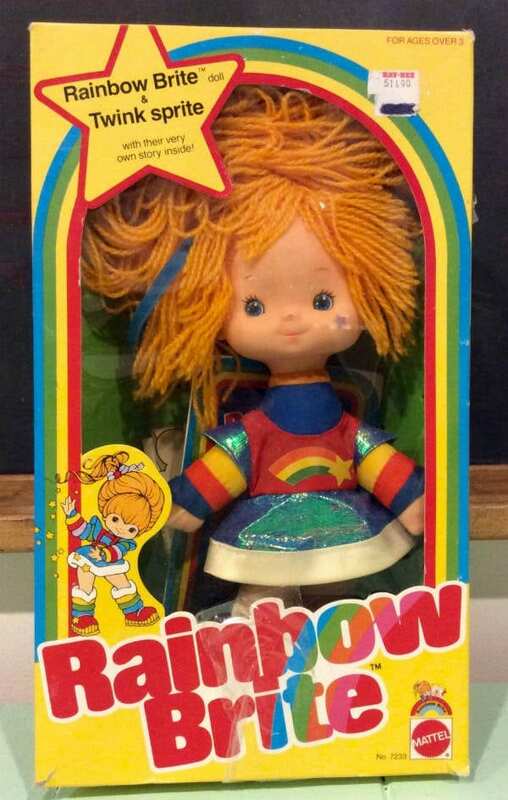 From the very start, toy company Mattel released a line of Rainbow Brite dolls that are now worth a pretty penny. Toy collectors are willing to pay anywhere from $500 to $700 for Rainbow Brite dolls still in their boxes while one of the most coveted of them all is the hardbody Starlite horse, which is selling on eBay for $1,000. She-Ra, also known as The Most Powerful Woman In the Universe, is the twin sister of He-Man and was created to inspire little girls the same way that He-Man inspired little boys growing up. DreamWorks Animation and Netflix announced in 2017 that they will be making a reboot of the series. So get ready, it’s coming soon! On eBay, a 1986 Mattel Bubble Power She-Ra Princes of Power sells for around $2,500. 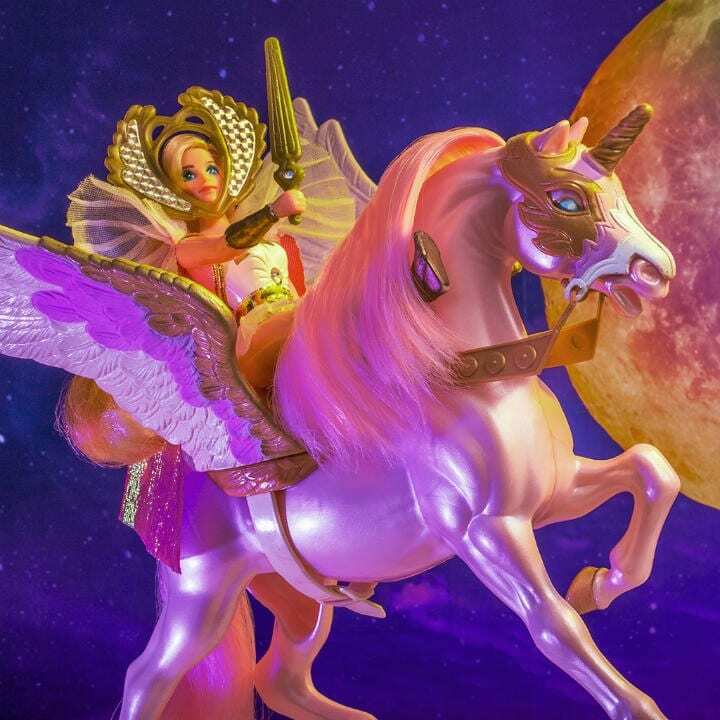 Other Princess of Power figurines and her horse Swift Wind can easily go for at least $100 plus. Collectible She-Ra statues can be sold for over $650. In the 80s and 90s toys that turned into other things were all the rage, think Transformers. But for girls, those were Cupcake Dolls. Dolls that turned into delicious looking cupcakes and even smelled great! Their dresses folded up into cupcake liners and their hats were decorated like the tops of the delicious cupcake treat. Cupcake dolls sell for a variety of different prices but if you have an original one still in the packaging you are looking at an easy $100 to $150. A rare Greek cupcake doll is currently selling for $180. So check your closets and dig deep for those rare cupcake dolls! 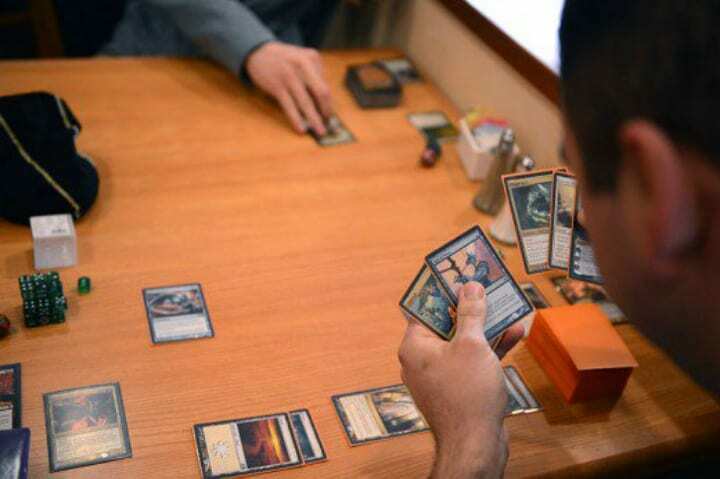 In case your not familiar, Magic: The Gathering Card game is a wildly popular card game that involves… you guessed it, magic. While the game has lost some of its prior popularity, as of 2015 there are still around 20 million active players. If you have a good collection of Magic cards then you might be sitting on a small fortune. The Zendikar Expeditions Full set of cards is currently selling at $5,800. But if you don’t have a collection, don’t fret, even individual rare cards can sell for well over $1,000. Super Soakers were a must during hot summers. They blew up the markets in the 1990s and sold out in stores everywhere. They were so popular that the term Super Soaker is now used to described any pressurized water gun. Prepare to get drenched… in money that is, if you are the proud owner of a vintage Super Soaker. 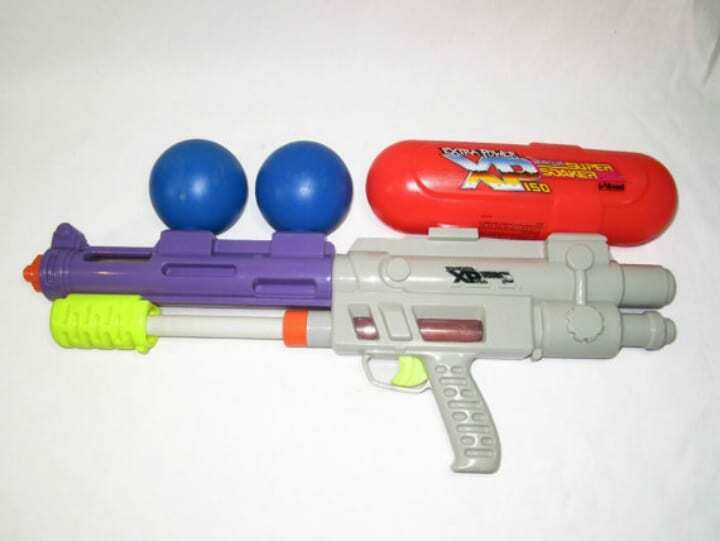 Some larger models of the water guns are selling for around $200 on eBay. Other smaller model can easily bring in $100 plus. Jurassic Park became the highest-grossing film of all time when it was first released in 1993. It grew into a media franchise, spawning tons of action figures and toys. Now, the kids who collected those toys are adults and can finally rake in the cash. The action figures from the original movie are the most coveted. On eBay, a collection of figurines, still sealed in their original boxes and signed, can sell for over $2,000. Other figurines and collectibles from the movie can sell for at least $1,000 but they must be either very rare or in mint condition.